What is the Gift Certificate and how can I order these? The gift certificate enables you to purchase a session/s of any of the therapies that Fort Willo Healing provide, for a friend, partner or maybe as a staff reward. The certificate can be mailed to any address in Australia on your behalf. To order your certificate you can either phone us on 0407 843 745 or email us your choice of therapy and payment details. You can pay via EFT or cheque and advise of the remittance or cash if you are visiting the clinic. The certificate/s will be released and authorised once payment has been received and will have a 3 month expiry date (this can be negotiated for special reasons at time of purchase). What should I expect on my first visit to the clinic? Please arrive 5 minutes early to complete a detailed client history form. This gives a basis for the therapist to discuss your treatment options. You will then be asked a few questions about your injury, pain, level of therapist pressure preferred, restricted movement or treatment needs. Often a physical assessment will be made to help determine the best treatment plan for your symptoms and causes for your visit. I encourage you to express your needs as we work together to improve your condition. The aim of the therapist is to treat effectively whilst being mindful of the unpleasant feelings of pain. Our philosophy is to minimise pain using techniques that activate the parasympathetic nervous system (relaxing response) which allows the therapy to be effective and comfortable. The general idea is to begin work from the superficial layers of skin and soft tissue and then progressing to the deeper layers for the deep tissue work. You will be consulted about your pain response and choices. 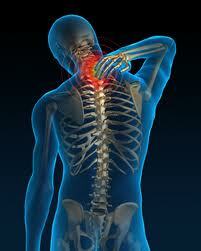 Remember, some deep tissue or trigger point work may activate a pain response. We work together using positional release, energy techniques and communication to make the treatment comfortable and effective. 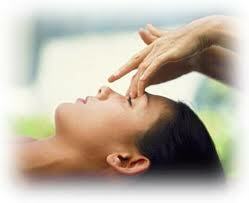 Usually you will begin to feel the benefits of treatment from the time you “hit the table”, without any down-side. Occasionally though, due to the effects of detoxification and the movement of waste fluids in your body, or direct work on a muscle or tendon etc, a feeling of listlessness and mild ache may occur. This should pass within a day or two as your healing process continues. How often should I receive treatment? How many sessions? Treatment timing will depend on the injury sustained, how long you have carried the injury, and your healing response. The initial injury often needs a few sessions to “get you on track”. An improvement should be felt after each session taking into account any after-effects. After an injury has healed, it is a great idea to have a maintenance treatment every 4 weeks or so. This usually reduces the number of injuries sustained and gives your body a boost in energy, and feels good. Can I claim a refund from my health fund? As mentioned in our “Health Funds” tab, partial rebates for remedial therapies are generally covered by most health funds. Amounts and conditions differ between funds; therefore we recommend you contact your health fund for details. I am pregnant, can I have a massage? Having a massage while pregnant can be a wonderful experience for you and your unborn baby. In fact having a massage while pregnant may be more important than normal, due to the physical, mental and emotional changes that occur in your body. It is highly recommended though, that you check with your doctor that there are no abnormal circumstances or health issues with your pregnancy. If you are generally well, and are into your second or third trimester, we would love to support you through your pregnancy. Can someone come to the session with me? Yes, if you feel more comfortable, that is fine. Note: All minors (under 18 years or age) must be accompanied by an adult for the duration of the treatment. I am a little conscious of my body, will my modesty be assured? Yes, we acknowledge and respect your privacy and wishes in regard to draping and treatment of your body. We use respectful coverage of your body and pay special attention to areas of traditional and cultural needs. For ladies, we also have a range of sizes of gowns for you to wear during treatment if you wish. Also, in most cases a treatment can be performed through clothing with some modifications. Please feel free to communicate your wishes, we will treat accordingly. What if I am running late for an appointment or can’t make it at all? Most important is to advise us immediately of the circumstances. We understand that occasionally an unforseen incident will occur which throws your plans into disarray. Please be mindful of our position and advise us, we will endeavour to assist and reschedule the session to suit. What are the prices/rates for your treatment therapies? Note: Payment can be made via cash, cheque, or EFT on or before the time of treatment. Sorry, we do not have credit card facilities at this time.